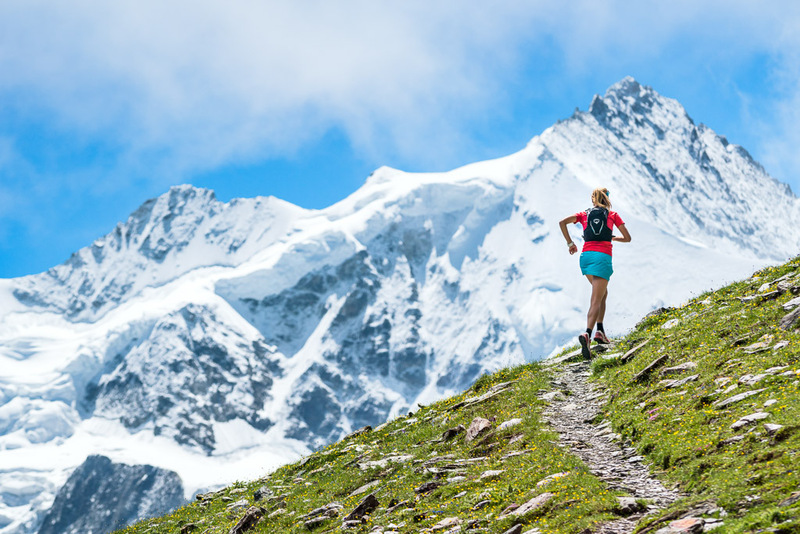 There aren't many places more inspiring and more varied for trail running than the Swiss Alps. Perfect for beginners, these four routes lead you along smooth trails with beautiful views from start to finish. These Easy runs stick to yellow signposted routes or red and white painted markers that are easy to follow. They are typically shorter and with less vertical gain than other runs on this site. Footing is generally smoother, but still on mountain trail. There are huts and fountains along the way for refueling, and often lifts if you want less vertical gain or a shorter distance day. Classified as Easy runs, they're still not that easy. They have respectable distance and gain. Take your time and enjoy the view. 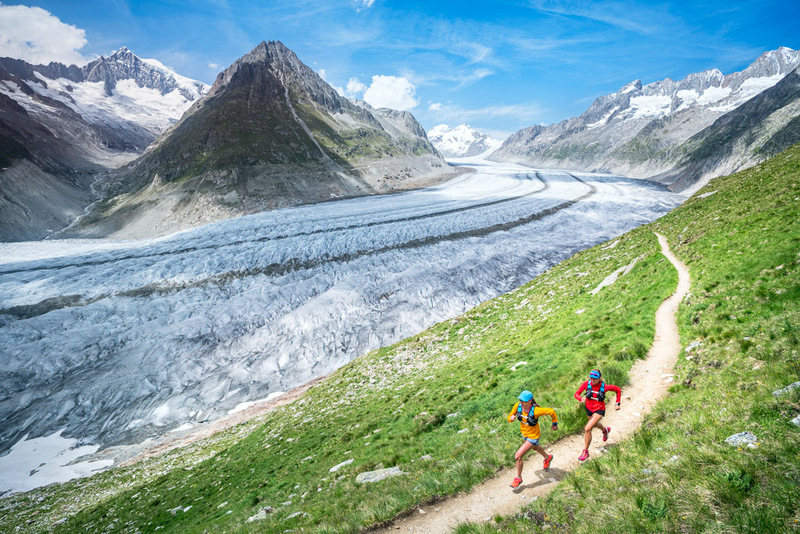 These are our top picks for easy cruising and introductory mountain runs in Switzerland! Looking for classic Swiss running? 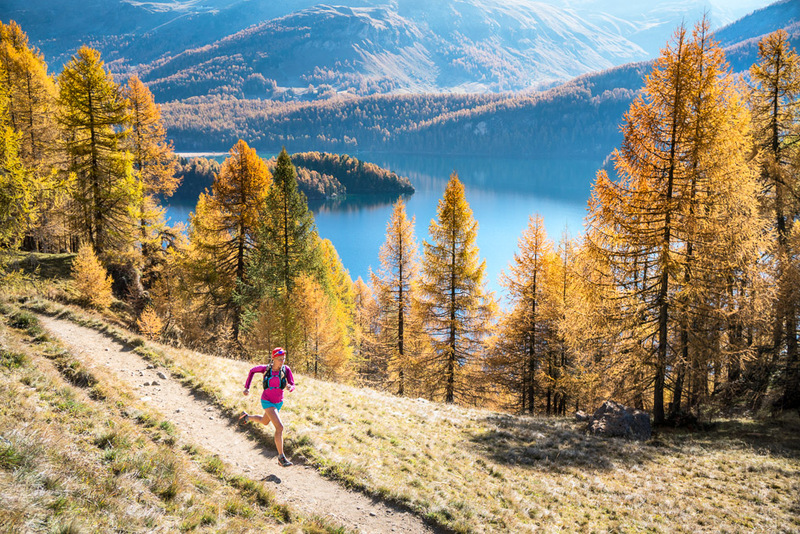 This route has high elevation cruising, a quaint mountain hut, cowbells, wildflowers, all around views of 4000 meter peaks, and situated in the Val d’Anniviers - one of the best trail running regions of the French-speaking Valais. Running along a piece of the Aletschgletscher, the Alps biggest glacier, isn't a run you should do, it's a run you must do. The trail could not be better for running. It's clean, smooth, rolling and for 10km from Riederalp all the way to Märjelenseen, has nothing but full panorama views as you run above this massive river of ice. Here's an easy run to add to the to-do list. It isn't so many kilometers, and the gain won't destroy your legs, but the setting is no less beautiful than longer days in bigger mountains. You might spend more time out here than expected since the lakes and views entice you to stop and linger. Gorgeous trails spread out in all directions in the Val de Bagnes. It's like discovering a secret running paradise, only it's not a secret to the runners already there. Steep climbs and sweet single track make this run a Valais favorite.